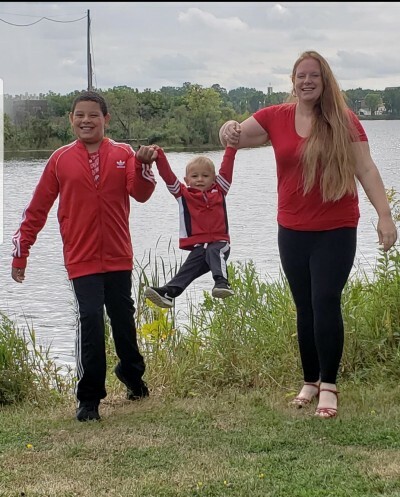 Kristine Edstrom and her boys, DaJuan (age 9) and Damari (age 1) are one of our newest partner familes! They will be building a new home in Biwabik. 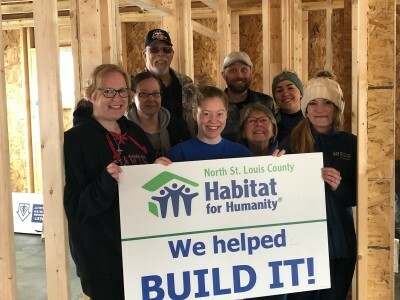 Welcome to the Habitat Family! 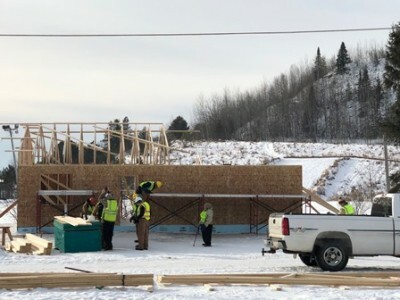 The Mesabi Range College Carpentry class, along with their instructor Leo Lukas, completed the foundation, framing and trusses. Kris Edstrom and fellow parnter family, Crystal Linn, working with BCBS of MN. To get updates on this home and other projects, sign up for our email updates by clicking here.